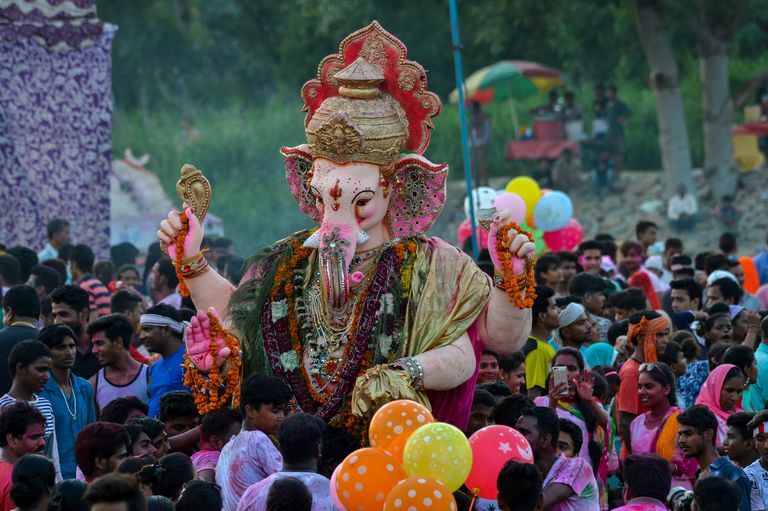 Ganesh Chaturthi Festival, Kalindi Kunj, New Delhi, India- September 5, 2017. Darshanas are schools of philosophy based on the Vedas. They are part of the six scriptures of the Hindus, the other five being Shrutis, Smritis, Itihasas, Puranas, and Agamas. While the first four are intuitional, and the fifth inspirational and emotional, the Darshanas are the intellectual sections of the Hindu writings. The Darshana literature is philosophical in nature and meant for the erudite scholars who are endowed with acumen, understanding, and intellect. While the Itihasas, Puranas, and Agamas are meant for the masses and appeal to the heart, the Darshanas appeal to the intellect. How is Hindu Philosophy Classified? Hindu philosophy has six divisions—Shad-Darsana—the six Darshanas or ways of seeing things, usually called the six systems or schools of thought. The six divisions of philosophy are the instruments of demonstrating Truth. Each school has interpreted, assimilated and correlated the various parts of the Vedas in its own way. Each system has its Sutrakara, i.e., the one great sage who systematized the doctrines of the school and put them in short aphorisms or Sutras. What are the Six Systems of Hindu Philosophy? The Nyaya: Sage Gautama devised the principles of Nyaya or the Indian logical system. The Nyaya is considered as a prerequisite for all philosophical inquiry. The Vaiseshika: The Vaiseshika is a supplement of the Nyaya. Sage Kanada composed the Vaiseshika Sutras. The Sankhya: Sage Kapila founded the Sankhya system. The Yoga: The Yoga is a supplement to the Sankhya. Sage Patanjali systematized the Yoga school and composed the Yoga Sutras. The Mimamsa: Sage Jaimini, a disciple of the great sage Vyasa, composed the Sutras of the Mimamsa school, which is based on the ritual sections of the Vedas. The Vedanta: The Vedanta is an amplification and fulfillment of the Sankhya. Sage Badarayana composed the Vedanta-Sutras or Brahma-Sutras which expound the teachings of the Upanishads. What is the Goal of the Darshanas? The goal of all the six Darshanas is the removal of ignorance and its effects of pain and sufferings, and the attainment of freedom, perfection, and eternal bliss by the union of the individual soul or Jivatman with the Supreme Soul or Paramatman. The Nyaya calls ignorance Mithya Jnana or false knowledge. The Sankhya styles it Aviveka or non-discrimination between the real and the unreal. The Vedanta names it Avidya or nescience. Each philosophy aims at eradicating ignorance through knowledge or Jnana and achieve eternal bliss. Nyaya & Vaiseshika: The Nyaya and the Vaiseshika give an analysis of the world of experience. By the study of Nyaya and Vaiseshika, one learns to utilize their intellect to find out fallacies and know about the material constitution of the world. They arrange all things of the world into certain kinds or categories or Padarthas. They explain how God has made all this material world out of atoms and molecules, and show the way to attain Supreme Knowledge – that of God. Sankhya & Yoga: Through the study of Sankhya, one can understand the course of evolution. Postulated by the great sage Kapila, who is regarded as the father of psychology, the Sankhya provides an in-depth knowledge of Hindu psychology. The study and practice of Yoga give one self-restraint and mastery over the mind and senses. The Yoga philosophy deals with meditation and the control of Vrittis or thought-waves and shows the ways to discipline the mind and the senses. It helps one to cultivate concentration and one-pointedness of the mind and enter into the superconscious state known as Nirvikalpa Samadhi. 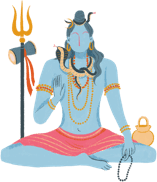 Mimamsa & Vedanta: Mimamsa comprises two parts: The ‘Purva-Mimamsa’ deals with the Karma-Kanda of the Vedas which deals with action, and the ‘Uttara-Mimamsa’ with the Jnana-Kanda, which deals with knowledge. The latter is also known as the ‘Vedanta-Darshana’ and forms the cornerstone of Hinduism. The Vedanta philosophy explains in detail the nature of Brahman or the Eternal Being and shows that the individual soul is, in essence, identical with the Supreme Self. It gives methods to remove Avidya or the veil of ignorance and to merge oneself in the ocean of bliss, i.e., the Brahman. By the practice of Vedanta, one can reach the pinnacle of spirituality or divine glory and oneness with the Supreme Being. Which is the Most Satisfactory System of Indian Philosophy? The Vedanta is the most satisfactory system of philosophy and having evolved out of the Upanishads, it has superseded all other schools. According to the Vedanta, Self-realisation or Jnana is the foremost thing, and ritual and worship are mere accessories. Karma may take one to heaven but it cannot destroy the cycle of births and deaths, and cannot give eternal bliss and immortality.